In Lovers of the Place, Abbot Francis Kline provided a fresh vision of the monastic life as one form of the Christian vocation that must find its place alongside other expressions of Christian life. He firmly believed that as monasticism renews itself for the church, it will in turn renew the church. 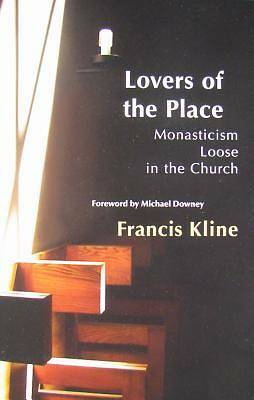 Kline invites all the baptized to a participation in the monastic charism loose in the church at large. Francis Kline, OCSO, was the third abbot of Mepkin Abbey, a Cistercian (Trappist) monastery near Charleston, South Carolina, until his death in 2006. He studied at The Julliard School in New York and at Sant'Anselmo in Rome.